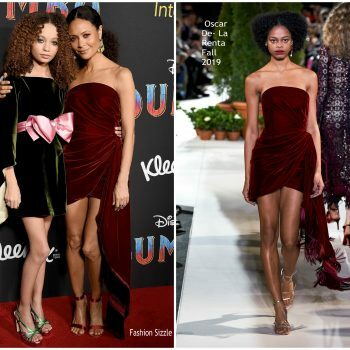 Thandie Newton was in attendance today (December 5th) at the 2019 BAFTA Los Angeles Tea Party at the Four Seasons Hotel in LA. 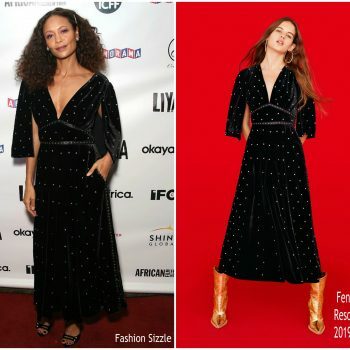 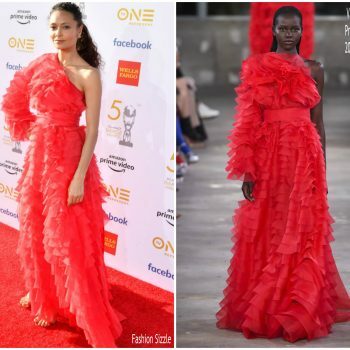 She wore a Alaïa Spring 2019 design. 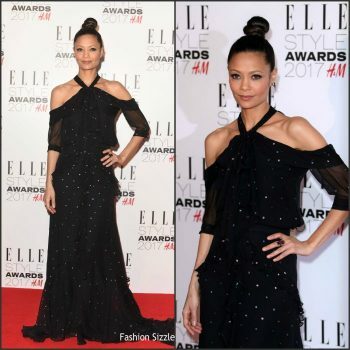 Thandie Newton was in attendance at the 7th Annual Breakthrough Prize Ceremony at NASA Ames Research Center on November 4, 2018 in Mountain View, California. 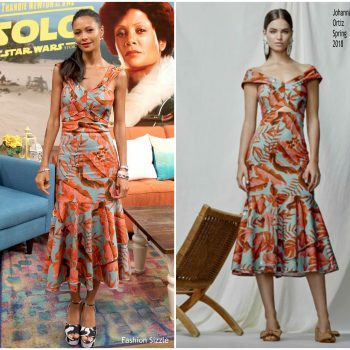 She wore a Schiaparelli Spring 2019 dress. 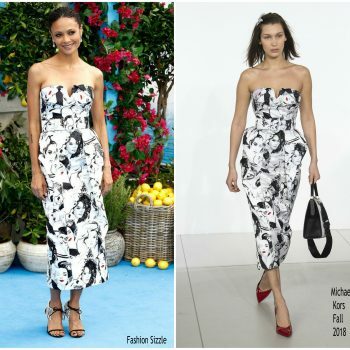 Thandie Newton attended the Variety’s Power of Women event in Los Angeles on Friday (October 12). 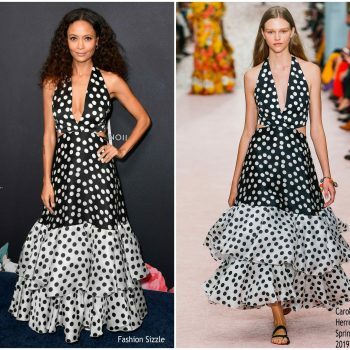 She wore a polkadot halter Carolina Herrera’s Spring 2019 dress. 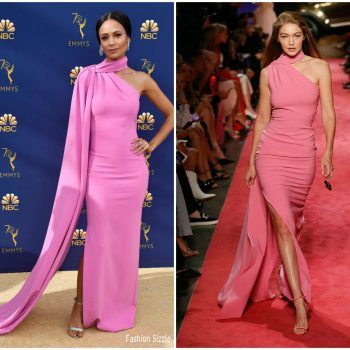 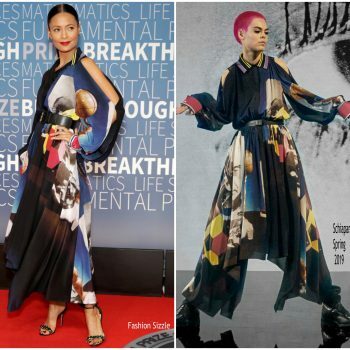 Thandie Newton wore a pink Brandon Maxwell Spring 2019 caped halter gown to the 2018 Emmy Awards. 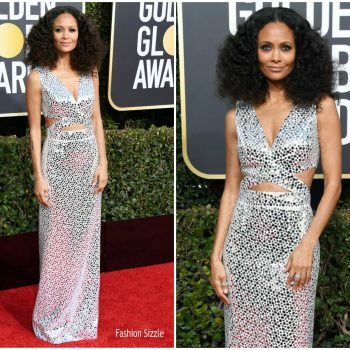 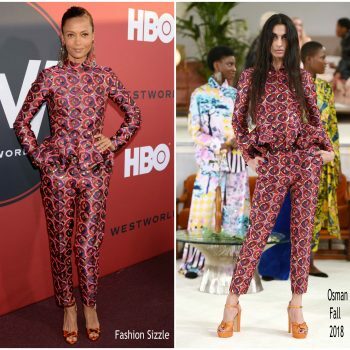 Thandie Newton wore a Dolce and Gabbana floral double-breasted tuxedo to The Hollywood Report & SAG-AFTRA's Pre-Emmys 2018 Celebration. 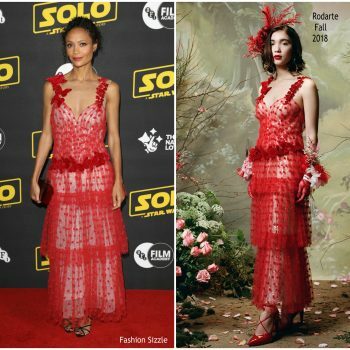 Thandie Newton attended the Cannes Film Festival at the ‘Solo: A Star Wars Story’ photocall on Tuesday (May 15). 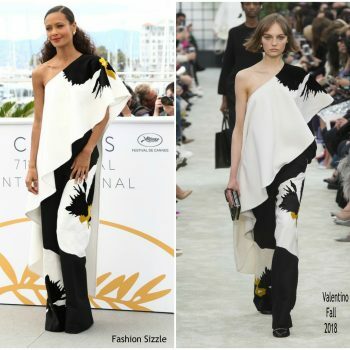 She wore a black and white Valentino Fall 2018 design. 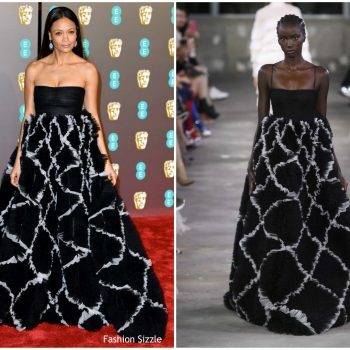 Thandie Newton attended the Virgin TV BAFTA Television Awards on Sunday (May 13) in London. 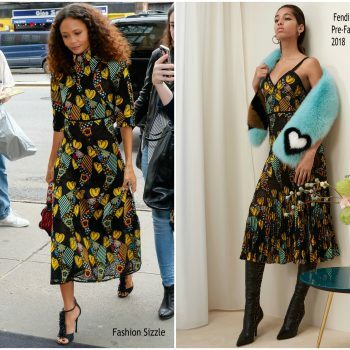 She wore a floral Richard Quinn Fall 2018 gown. 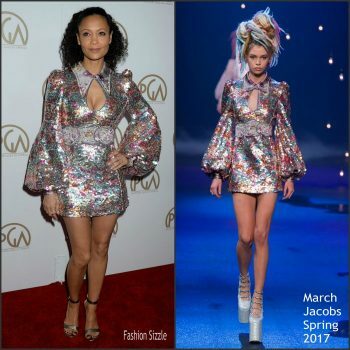 Thandie Newton was in attendance at the ‘Westworld’ Tribeca Film Festival premiere on Thursday (April 19) in New York City. 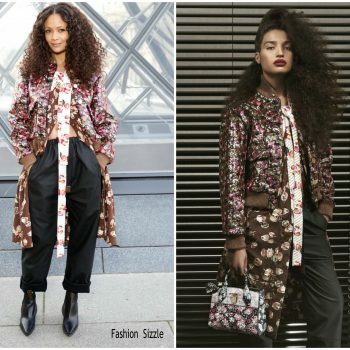 She is wearing a cranberry Schiaparelli suit. 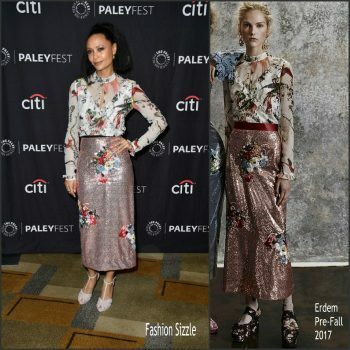 Thandie Newton attended the HBO’s ‘Westworld’ FYC panel on Tuesday (May 30) in North Hollywood, California. 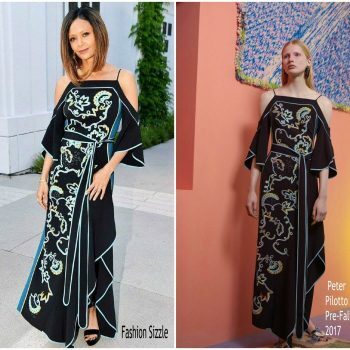 She wore a Peter Pilotto Pre Fall 2017 dress styled neon yellow sandals.